Streets close at 6:30am. Start at Waterford Complex Building (NW 63rd Street and Pennsylvania). Finish for all tours is on 63rd Street just east of Pennsylvania. Please note: Riders arriving at the Jones Plaza on Main in Jones after 9 AM will be required to return on the 33 mile course. All courses close at 11am. It is each rider’s responsibility to select the appropriate distance based upon his/her level of fitness. At least two sweep trucks/sag wagons will be available on the course to return riders to the Waterford Complex Building. Due to road construction please note a detour on the 45 mile tour at NE 36th and Choctaw Rd. Cyclists will go north on Choctaw Rd. to Wilshire Blvd. The annual after-ride/run celebration include a Pancake Breakfast, entertainment, and refreshments. Show your Bib Tab to get a COOP beer! Look for the drawing board to see if you are a winner of the drawing. Pancakes courtesy of the Renaissance Waterford Hotel and Oklahoma Natural Gas will be provided for all cyclists. Must show bib to receive pancakes. The pancake breakfast ends at 11:15. 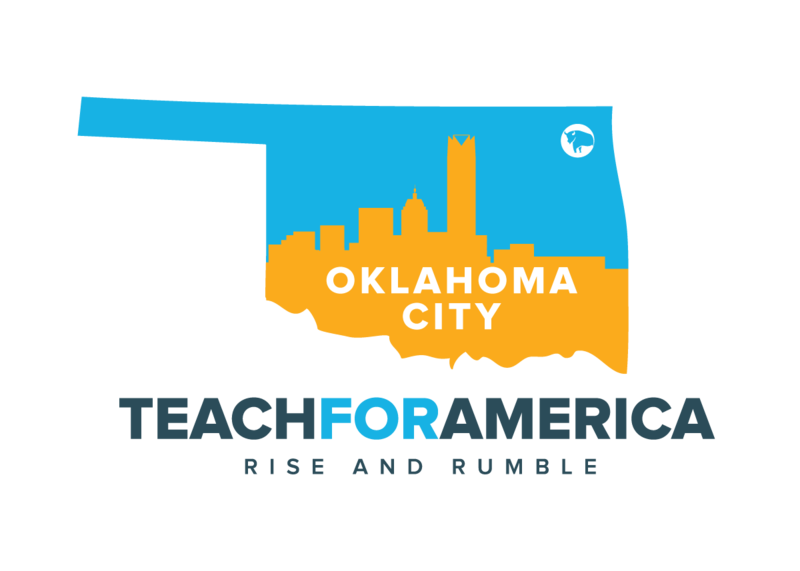 Cash donations for the pancake breakfast are encouraged and will directly benefit our 2019 Beneficiary, Teach For America – OKC. $10 – includes t-shirt and medal! Nichols Hills Plaza, N. Western & Avondale Drive. Activites begin at 11a.m., and the fitness run begins at noon. A one-mile run/walk/stroll for children ages 1-12 years. Registration is required for this event. $10 registration fee, includes t-shirt/bib and medals! Pre-Post race activities and entertainment provided by Teach For America, the 2019 beneficiary. Little Caesars Pizza will provide pizza and refreshments to all participants. The 10k event starts at the west entrance to Waterford Blvd. on Pennsylvania. Line up on the WEST LANE of Penn. The 10K proceeds north on Pennsylvania to Wilshire and continues north through Nichols Hills. Please note: A runner who places him/herself ahead of faster runners at the starting line creates a severe hazard as the faster runners attempt to pass. The 5K event starts at the west entrance to Waterford Blvd. on Pennsylvania. The 5K proceeds north on Pennsylvania, makes a right on 63rd, then proceeds east to Grand Blvd. and makes a left at Grand Blvd. Please note: A participant who places him/herself ahead of faster participants at the starting line creates a severe hazard as the faster participants attempt to pass. The 5k wheelchair event starts at the west entrance to Waterford Blvd. on Pennsylvania. The 5k wheelchair proceeds north on Pennsylvania, makes a right on 63rd, then proceeds east to Grand Blvd. and makes a left at Grand Blvd. Wheelchair partcipants registrations are complimentary. $30 before April 1. $35 April 1-7. Sunday, April 7 – 1:45pm Line-up // 2:15pm Approx. Start. Walkers and Stroller participants line up behind the 5K runners and start after the 5K runners are clear of the start line. The 2-Mile walk event starts at the west entrance to Waterford Blvd. on Pennsylvania. 2-Mile walkers follow Pennsylvania north to 63rd, turn right on 63rd, and then in about a block turn LEFT on Randel Road. Walkers and Stroller Derby participants should line up behind the 5K runners on Pennsylvania. Please Note: Any participant walking in the event must register regardless of age. Children pushed in a stroller do not need to register. Decorate your stroller and win the “Best Decorated Stroller” prize! Whether your team is large or small, the Team Challenge gives your organization the opportunity to be a visible part of an event with thousands of participants. But, perhaps most importantly, it allows your organization the opportunity to lace up those tennis shoes and have fun together! Remember, the Redbud Team Challenge is for organizations of all kinds-businesses, churches, civic groups, neighborhoods organization, school teams & clubs, and more. What better way to celebrate the 37th Annual Redbud Classic than to stick around and enjoy the festivities at the second annual REDBUD BASH, the official race after party! The REDBUD BASH, will be held at the finish area in Nichols Hills Plaza immediately following the start of the 5K and 10K runs on Sunday, April 7th at 1:00 pm. There will be a variety of food from some of Oklahoma’s premier food trucks, beverages from COOP Ale Works and other sponsors, free family-friendly games and activities, as well as live entertainment. Whether you are participating in the run, cheering someone on or just want to enjoy a family-friendly outing, this BASH will have something in store for you! Come rain or shine, we can’t wait to see you at the finish line!